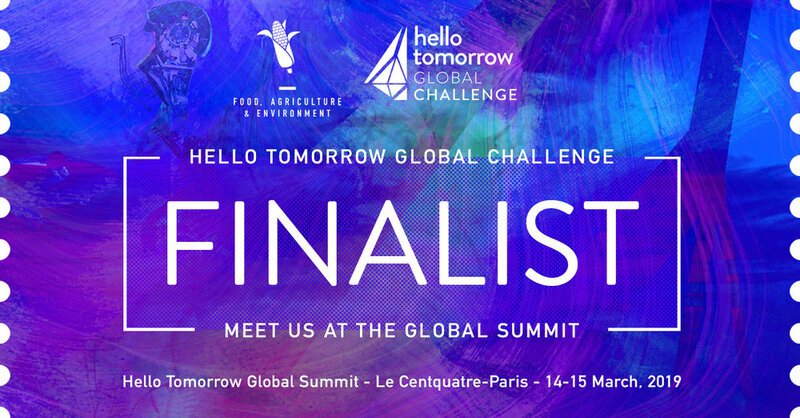 EarthSense is proud to announce that we are a Hello Tomorrow Global Finalist at the world-renowned Hello Tomorrow Challenge! From 4,500 applications, we are one of the 7 Finalists in the Food, Agriculture and Environment track. We will be pitching at the Hello Tomorrow Summit in Paris on March 14-15th. EarthSense has received the 2018 Edwin Moore Family Agriculture Innovation Prize. 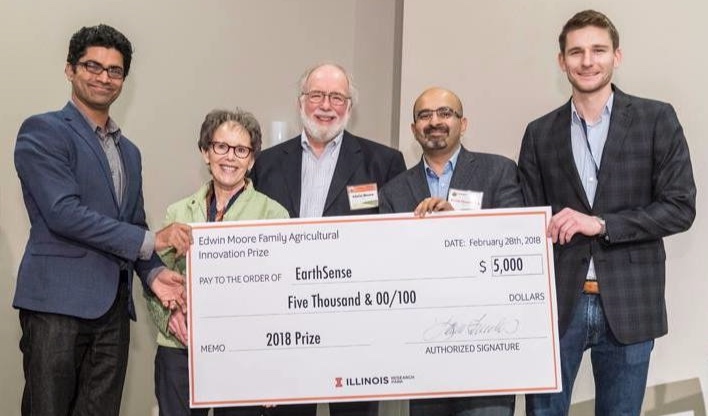 Moore family members Penny DeYoung and Ed Moore presented the award to EarthSense during the Agriculture Technology Innovation Summit on Feb. 28 in Champaign. The award honors the legacy of Edwin E. Moore (1924), who graduated from the University of Illinois College of Agriculture and began farming in Will County. Throughout his agricultural career, he and wife, Iva, used innovative farming practices for both crop production and livestock management. Two of their four children became farmers, Edwin and Thomas (1953, College of Agriculture), and continued use of innovative farm practices. Subsequent generations of Edwin Moore's family have continued to pursue farming and agriculture related careers capturing the same innovative spirit.